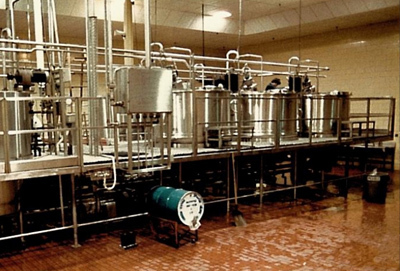 Rayco Process Services specializes in the onsite installation of interconnecting sanitary & utility process piping for the food, beverage and cosmetic industries. Our team of highly qualified installers is comprised of pipe fitters, welders and mechanics, all trained specifically for this industry, many with over 20 years of experience. All of our projects are completed in full compliance with USDA, FDA and 3A standards. Our onsite team begins with receiving and rigging equipment and components and continues with the installation of interconnecting sanitary and utility piping. We have all the required insurance coverage and complete each project with a focus on quality, cost & time efficiency and safety. 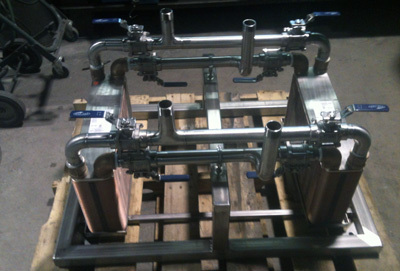 We invite you to contact us for more information about our process piping services for your operation.